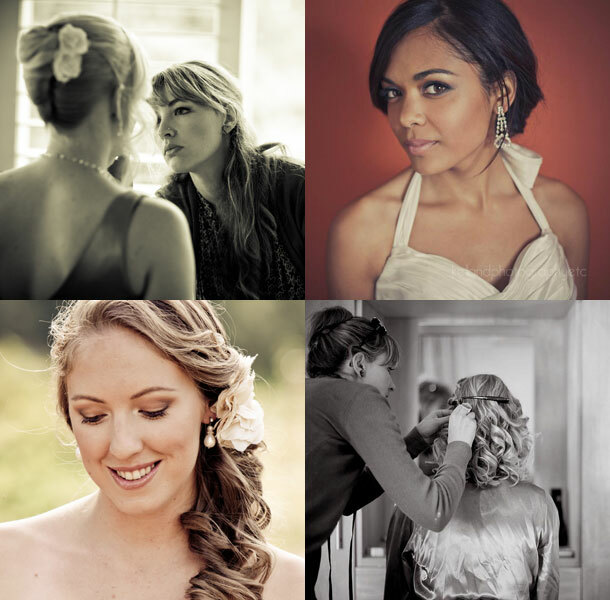 Lindsey is a professional make-up artist based in Pinelands, Cape Town. She focuses on beauty make-up and specifically bridal make-up and hairstyling. I qualified in ‘Motion Picture Make-up’ at City Varsity, and hairstyling at Head to Toe in Cape Town. I have an eye for detail and beauty which carries over into my work, this together with my joy for meeting new people inspires each look I create for someone. The process is as follows: After a confirmation of trial date, the bride and I meet, normally at my home, and firstly discuss her tastes in make-up and hairstyling. I ask numerous questions about the style of her wedding dress and the accessories she will be wearing, as her make-up must complement the rest of her choices. We look at reference pictures as inspiration and discuss what style of make-up and hair she would like to have, and what would best suit her. Once I have a basic understanding of her preferences, we begin with the make-up application. I use mostly Mac make-up, due to the long-wearing quality of the product. During the trial I show her what the effects of the different make-up stages are as I go, so adjustments can be made to her liking. We also discuss the use of false eyelashes, and if she is interested in wearing them she is able to see their effect during the trial before deciding to wear them on the day. We also discuss the options of the lipstick colour she would like to wear. I always advise my brides to purchase their own lipstick for touch-ups on the day. If she would like me to assist her with the purchase, or to do it on her behalf I am happy to do so. I like my brides to feel that I am both professional and personal in my contribution to their special day. For more than three members in the bridal party I recruit a separate professional hair-stylist to work along side me. With large wedding parties this ensures everything runs more efficiently on the wedding day. I liaise with the stylist regarding the trial date for your convenience. To contact Lindsey to make a booking telephone +27 (0)84 841-5809. Alternatively for further details or to send an enquiry visit Makeup and Delight.